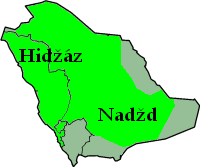 The Kingdom of Hejaz and Nejd (Arabic: مملكة الحجاز ونجد‎‎, Mamlakat al-Ḥijāz wa-Najd), initially the Kingdom of Hejaz and Sultanate of Nejd (مملكة الحجاز وسلطنة نجد, Mamlakat al-Ḥijāz wa-Salṭanat Najd), was a dual monarchy ruled by Ibn Saud following the victory of the Saudi Sultanate of Nejd over the Hashemite Kingdom of the Hejaz in 1925. 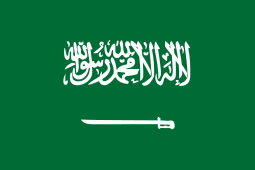 In 1932 the two kingdoms were unified as Saudi Arabia. On 8 January 1926, Ibn Saud, the Sultan of Nejd, was crowned King of the Hejaz in the Masjid al-Haram in Makkah, and he elevated Nejd to the status of a kingdom on 29 January 1927. At the Treaty of Jeddah on 20 May 1927, Ibn Saud's realm was recognised by the United Kingdom of Great Britain and Northern Ireland, and was addressed as the Kingdom of Hejaz and Nejd. 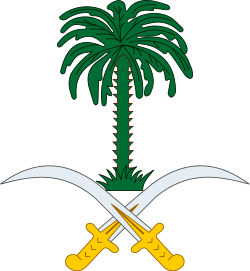 For the next five years, Ibn Saud administered the two parts of his dual kingdom as separate units. On 23 September 1932, the main Saudi dominions of Al-Hasa, Qatif, Nejd and the Hejaz were unified as the Kingdom of Saudi Arabia. The Kingdom of Hejaz and Nejd could pursue its expansionist policy by British arms supplies because of its close relations with the United Kingdom. Under Ibn Saud, the Hejaz withdrew from the League of Nations. In 1926, the Kingdom of Hejaz and Nejd was recognised by the Union of Soviet Socialist Republics, followed by the United States of America in 1931. By 1932, the United Kingdom, the USSR, Turkey, the Imperial State of Iran and The Netherlands maintained legations in Jeddah; The French Third Republic, the Kingdom of Italy and the Kingdom of Egypt maintained unofficial consular representatives.